Twitter 72 New Emoji: The most wanted microblogging social media website, Twitter has rolled out its new emojis from Today on July 13, 2016. All the 72 newcomers are from the Unicode 9.0. The World Emoji Day will celebrate as soon on July 17, 2016. So, Twitter will also blast on that day by using this new emojis. The new emojis included the Rolling On the Floor Laughing (ROFL), Nauseated Face, Lying Face and Drooling Face. Emojis plays an important role in this current century. So, it will be celebrated officially on one day, that is July 17. Today, emoji is an essential part of our life. We all ? using the emojis every day to share our feelings to our lovable ones. It is a time to celebrate for the emojis on coming July 17th, 2016. Share your celebration via using the hashtag of #WorldEmojiDay. Twitter allows us to use more emojis by today. But, there is no codes and emoji keyboard. 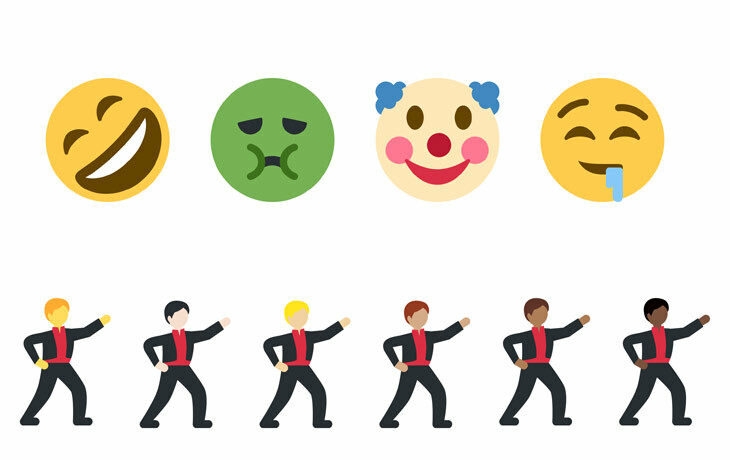 We need to copy, paste from another place like Emojipedia and Emoji Keyboard.
? Rolling On The Floor Laughing, ? Face With Cowboy Hat, ? Clown Face, ? Lying Face, ? Drooling Face, ? Nauseated Face, ? Sneezing Face, ? Prince, ? Mother Christmas, ? Man In Tuxedo, ? Shrug, ? Face Palm, ? Pregnant Woman, ? Man Dancing, ? Selfie, ? Hand With Index And Middle Fingers Crossed, ? Call Me Hand, ? Left-Facing Fist, ? Right-Facing Fist, ? Raised Back Of Hand, ? Handshake, ? Black Heart, ? Gorilla, ? Fox Face, ? Deer and much more. Visit Emojipedia to get more details about this Update and get the emojis. Stay tuned for More Latest Tech Updates and News. Ready to Celebrate this July 17 as a WORLD EMOJI DAY. ?